The other day I had the opportunity to turn an acquaintance into a friendship. Until I get her permission to use her name I will call her Sophie. We met on a planned hike with two other gals. Sophie was introduced to me as a nice lady whose husband also died. Just hearing those words sent a jolt right up through the crown of my head. 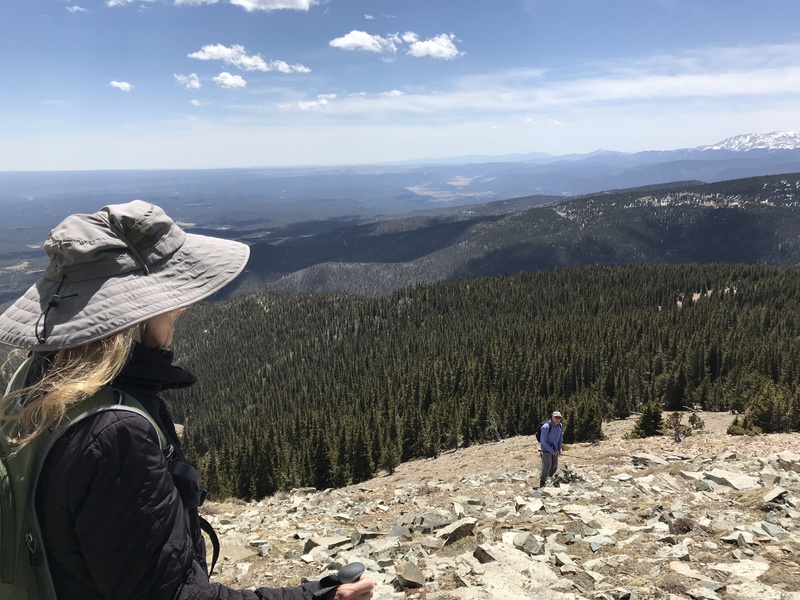 A few seconds passed when I reckoned to myself, “At least we have a common ground though my immediate prayer was that our hike would welcome the silent solitude I had been craving. The leaves brushing on my sleeve, the crackling sound of drying leaves beneath my feet, and the breathing of cool air tickling your cheek is what I wanted. Perhaps as mother nature intended Sophie and I broke the sounds of silence. It seemed that as soon as we took our first 3 or 4 steps we began to converse. It didn’t take long for me to hear Sophie’s story. Her husband died after several years of chronic health challenges. It was now five years later when Sophie decided to get out of the house, go hiking, and enjoy the company of others. Five years, I thought, I won’t mourn for five years. I will cherish the fortitude brought to my life each and every day of my life. I will socialize. I will read and relax. I will take pride in my house and our property. I will continue my ukulele, piano and band playing. I will eat vegetables every day. I will maintain my current weight (or lose just five more pounds.) I will be kind. I will finish the slides for Ron’s memorial. I will end this blog so I can finish the slides for Ron’s memorial…. Here I go again getting impatient because someone didn’t respond to my rant. So, instead of quietly ignoring the situation and leaving the ball in their park I threw another pitch. This brings me back to an old philosophy of mine. Three strikes and I am out. Anytime I failed to do something on the first try I reminded myself to allow two more failures before changing my tune. This worked when sailing, counseling, and doing a domestic chore. In sailing it was imperative to keep a roster of five for each race. My roster included up to ten. How many times did I call each person? No more than 3. I figured if someone didn’t respond after that they either didn’t want to say ‘no,’ or were too busy. I certainly didn’t want to be a nag. In counseling I would allow three sessions to solve a problem. In the school system counselors rarely have time to engage in long term therapy. Hence the genre ‘brief counseling’ was coined. If after the 3rd session the problem wasn’t solved a recommendation another counselor with whom the student, parent, or teacher might want to consider meeting with. In the domestic arena I was negligent. There were too many other things I would rather do. Domestics included dinner with family like those Thanksgiving traditions where everyone would sit around the table and overeat. Then, the men would plop in a cushy chair and fall asleep watching football on TV. The women talked about future plans, bashed the men or gossiped. I probably tried a zillion of these experiences. Way more than three. With relationships I always want to end encounters in peace. Although it took me some sixty years to come to this position with my sister. I am thankful her and I have finally met in the middle. At the first inkling of a misunderstanding or annoyance we confront each other. Within a day or two we rehash until we reach a satisfactory understanding. In some cases we decide a topic is not one we choose to engage in. And, so it goes with my mate. On another tack, when I want to turn an acquaintance into a friendship do I use the same baseball rule before giving up? I think I will because just like calling a dear friend if they don’t return my calls after 3 attempts a voice shouts in my head, “Quit being a nudge or an annoyance, they will call when they are ready.” Current score is two to none. OOOOOOOO, I almost forgot between now and my birthday a hiking friend, Polly, and I will attempt to climb our first 14er. If we fail, do we try two more times then give up?